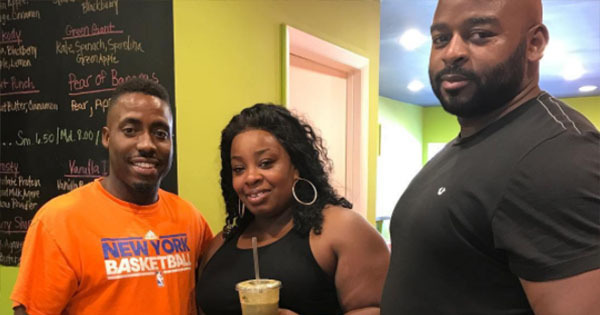 The number of Black-owned juice bars seem to be increasing! Initially, though, opening a juice bar was the farthest thing on Kenny Minor's mind. However, when his uncle died from a sudden heart attack, it motivated him to start being more healthy and to encourage others to do the same. So, he decided to open up his own spot called Xtract Juice Bar in Baltimore, Maryland. Starting a juice bar is a simple business, but like all other businesses, it still requires research. Kenny says that he had to research several different types of fruits and vegetables to better understand their nutrients and benefits. He consulted with a holistic specialist who was very knowledgeable in vitamins, minerals and supplements, and also had to learn about blending and making smoothies. He even watched the Netflix documentary What the Health, by filmmaker Kip Andersen, which taught him a lot about plant-based diets. After getting all his information together, he was ready to open up shop. Kenny's business is a real asset to the Baltimore community, a community where mostly Black people live but most of the food options available are unhealthy. There is, however, a soul food vegan restaurant next door so the locals are very grateful that their healthier options are expanding. "What a blessing to have a soul food vegan and juice bar on the same block right next door to each other," said one customer on Yelp. "We need more of this in Baltimore. Let the juice/smoothie bars rise and food deserts die," said another. Another one commented, "So happy to see a juice bar in this area! I highly recommend stopping by if you're in the area. They have great juices that are easily customizable." Kenny says that he is happy to be giving back to the community, and really hopes that his business will encourage people to take more caution with their health. If you are ever in the area, you can visit Xtract Juice Bar's location at 844 N Eutaw Street, Baltimore, MD 21201.